Hitting the basketball court, baseball diamond, or football field? Stay safe out there. 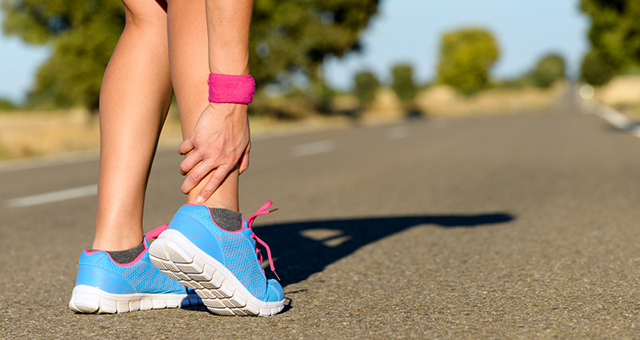 If you get a sports injury, FastMed Urgent Care is here to help. But if you play smart and continue to schedule sports physicals, you can lower your risk of getting injured in the first place. Here are five tips to keep you in the action and off the bench. Being physically strong won’t just make you a better athlete – it decreases your risk of injury, as well. For example, stronger leg and core muscles from squats and sit-ups can help keep you balanced as you maneuver around the court or field. It’s important to exercise consistently to maintain your strength and stamina. If you haven’t had much physical exercise recently, playing an extremely intense athletic game could tax your body and wear you out quickly, leading to mistakes and potential injury. Play at the appropriate level. There’s a reason you don’t see many 70-year-olds playing tackle football. While playing at the upper limit of your ability can be thrilling, it’s also important to remember that those limits do exist. If you’re playing with people of greater athleticism, you may have to temper your expectations about what you can achieve. Proving to yourself and others that you’ve “still got it” might lead to injury if you’re not careful. Helmets. Knee, ankle, and elbow braces. Mouth guards. Athletic cups. This gear doesn’t just help you look like a real athlete – it’s designed to protect you from injury. It might feel like a hassle to bring your gear to the game. It might even make you feel slightly uncool to wear it. But you’ll feel a whole lot worse if you wind up with an injury you could have prevented with the right protective gear. By the way, did we mention helmets? They help protect your brain. Next time you get on your bike or skateboard, please wear them. Dehydration isn’t an injury per se, but it can certainly ruin your game. Dehydration can lead to headaches, cramps, or worse. Replenishing your fluids is especially important if you’re playing outside in the heat. No matter where you’re playing, take frequent fluid breaks and encourage your teammates to do the same. And remember that by the time you feel thirsty or woozy it’s too late. This is an obvious but extremely important point. You may be tempted to continue playing in the heat of the moment, but that could make your injury worse, leading to greater pain and a longer recovery time. If you get injured, come see us at FastMed Urgent Care. As our name implies, we’ll help you get back on the field as quickly as possible.